Welcome to this two minute HR Blast. We are working with an ever increasing number of organisations who have more and more of their staff regularly working from home or on the move, it is after all, a growing trend. So we wanted to share some of our insights and thoughts on making this way of working work for your organisation. If you value what you read, please do share with line managers. Are staff clear about what working standards, professional etiquette etc. are required when working virtually? Do staff clearly understand how their performance will be measured? Are managers confident about managing their remote workers? Is there clarity over who can work from home and when? How do you maintain the motivation of someone who is not around? Ensuring continuous training and development is not neglected so the value of your employee does not diminish over time. Does the employment contract properly reflect how they work? IT and connectivity might be the key to achieving high productivity. The world has changed dramatically across the past decade. Now would probably be a good time to introduce or revamp an old home working policy or professional behaviour at work policy. It needs to fit modern ways of working and protect your business as well as guide your employees. What professional standards are expected even when an employee is working from their own home. Email protocols – don’t let a remote worker start creating their own style and approach that is different to what is expected in the rest of the organisation. Security protocols – consider data protection act issues as well as issues around viruses/hackers. Independent thinking and problem solving (e.g. when there is no IT department on hand). What a home office set up might look like – do you require them to work away from the main living area, do you require them to guarantee a noise free environment? Working after hours – do you allow, do you monitor, impact on working time regs. etc. Stress management, working whilst ill – what is and is not acceptable and/or encouraged. Reporting requirements and logging of data. Dress code when using video conferencing. Insurance requirements – are your staff properly insured if you have your equipment in their homes/cars? Performance management of virtual workers is often the uppermost concern of managers. To manage performance, the starting point is to have a clear understanding of how performance will be measured. Outputs not inputs: In the past staff were usually measured by what time they turned up and left each day, or how much they spoke up in meetings or how many reports had their name attached to them. But more and more organisations are turning to measuring outputs. It’s no longer about how many customer care visits they did (inputs), but what the results of those were. It’s not about how many hours they were logged on to a computer, but what they actually achieved each day. Measuring outputs means that as a remote manager you don’t have to worry about inputs. You don’t have to worry about whether they are working from a home office as they said they were, or whether they are still in bed. You don’t have to worry about whether they are out visiting customers or whether they are in the gym instead, and you don’t have to worry about whether they are putting hours in working for you, or whether they are putting hours in setting their own business up whilst being paid by you. Managers therefore need a clear conversation with their employee about how they need to be measured by outputs, rather than inputs, at the point at which they become virtual workers. You therefore need to be clear about what those measurements will be and how often achievement will be reviewed. Put this all down in writing so they are clear about expectations and measurement and you, the manager, are clear. Adding into the complexity of this of course are those workers who work sometimes from the office and sometimes virtually – ie the ever increasing numbers of mixed location workers. Our suggestion would be that as soon as anyone begins to work remotely, if you haven’t done it already, it is better to move to measuring outputs rather than inputs. Note: whilst measuring by outputs, some managers still fret about the inputs. Perhaps these managers need support from the organisation to change their approach or perhaps the outputs needs reviewing to ensure they are all encompassing? Rather than remote working being something that just a few do, is it time to acknowledge this is a significant change for the business, that the way people work and are managed is changing? Make it a talking point to enable conversations to take place. Review IT software and hardware to identify if IT is being used to best effect to support managers in managing their staff. Is it time to review or introduce new systems? Trying to manage an employee when you only have half the data is a soul destroying process for even the most confident of managers. Understanding the culture change that is taking place. Considering our views on trust, risk etc. Understanding employment law, company processes and procedures on staff management. reviewing the relevance of the working time regs. as relevant to remote workers. Understanding H&S and data protection law as it applies to remote workers. Learning how to maintain standards in a remote team. learning how to build and develop a remote team. Reviewing how we communicate to ensure efficient communications with remote workers/ learning how to modify our communication style to succeed. Using modern technology to support the management of home workers. Specific training for managers around how to have difficult or sensitive conversations with remote workers. When do managers actually need to sit face to face with their remote workers? What special circumstances should result in one of your managers agreeing to a short period of home working? What is the framework for managers to use to guide them when considering formal flexible working requests or requests for permanent virtual working? Is there a danger that some staff will feel some people get special treatment in being allowed to work from home whilst others are not? if this is the case, their feelings need to be acknowledged and addressed. At what point do you reach home working saturation i.e. when there are not enough people left in the building to do what is needed. If an employee cannot guarantee a noise free environment, an environment free of caring responsibilities (children or adults needing care) or an appropriate place in the home where they will be able to regularly work, be clear about whether this will result in homeworking being refused. Our two minutes are up but if you have an extra couple of minutes spare, read on to find out our further ideas of homeworking…. There is no point in agreeing to a home working request, or recruiting someone into a home working role, if ultimately the home working does not suit the employee’s social needs, as this will eventually lead to demotivation and possibly resignation too. Agree in advance, before an employee starts working from home, the contact they will expect or require from their manager and or colleagues. Likewise, set clear expectations about what contact is expected of them! End of each day, during each day, end of each week, by phone, by email, text message etc. Arrange or confirm days when all of the team are required to attend the office or an away day to maintain contact and team cohesion. For those who like social contact this will give them something to look forward to if they are feeling isolated. If home working is becoming more of a requirement of a role consider this carefully during the recruitment process as homeworking does not suit all. Carry out exit interviews to monitor reasons for leaving. Consider taking action if homeworking, or even a lack of home working options, is causing increased turnover. You don’t want your employee’s productivity or satisfaction to be low therefore ongoing training and development is essential. Equally you do not want their productivity or value to the business to diminish over time. Training and development cannot just be forgotten because they happen to be out of sight. Do employees know how to use the equipment to allow them to work from home? They might not be as familiar with IT as they need to be to successfully work in an isolated environment. Check their knowledge and provide training where required. Make no assumptions. An employee could miss out on the development most people experience through working in and around other people. This could be overcome by arranging regular CPD sessions or colleagues sharing new best practice during lunch and learn sessions which could be conducted via Skype/virtual conferencing facilities.Be clear about placing personal responsibility on employees to keep up to date with their own learning. Consider whether they need to submit a formal log of learning every quarter. Location – you may consider amending this clause to state that their primary location is their home but consider how often you’d like them reporting into your office if at all. Expenses – if you’re amending the location clause, consider what expenses can be claimed. Data protection requirements – storing information at home locations etc. Hours of work – if this is being changed. Confidentiality – a reminder of this clause for all home workers. Before it is agreed for someone to work from home an employer might need to check that the employee is able to connect to the internet and that the service and internet speeds they receive from their provider are adequate for the needs of the job and the equipment they use. In some cases an employer might agree to pay for the necessary upgrade and or also for internet access up to an agreed amount. 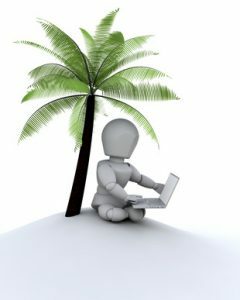 In most cases if an employee is working permanently from home then the employer would have to consider providing the IT equipment, but not necessarily if it is for a temporary period or if it to suit the needs of the employee for a short period of time. Interested to read more? Read this earlier HR Blast on issues around informal homeworking or this Blog on what often doesn’t go to plan with homeworking. We fantastic track record for training for line mangers: managing absence, managing discipline, motivating and retaining staff, managing performance, understanding essential employment law, confident communication. Call us now to find out more about the training courses we can provide you (that you then deliver yourself) and the courses we can deliver for you. Lots of options and in our view unbeatable value!